Love is supposed to be great, grand even but sometimes it is even stressful. Family even adds an additional component that can make you a little leery but you continue to press on in the name of love. But what happens when your love is tested and you don’t know which way you should proceed? Should you go with love or should you tempt fate? Jahaira Ruiz was the daughter of Caesar Ruiz and she was the apple of her father’s eye. She could do nothing wrong in her father’s eyes. Jahaira wishes that she felt the same about her father. Although Jahaira loves her father deeply he has disappointed her so much, she just doesn’t look at him the same. It is almost like she pities her father. When Caesar died suddenly Jahaira feels bad that she has treated her father so poorly, after all he was her father. Lenox is Jahaira’s boyfriend and have been for two years. They are in love. Lenox would love to take it to the next level with Jahaira but he has never met anyone from Jahaira’s family or her friends for that matter. This is an issue for him but is it an issue that is big enough to cause problems for him and Jahaira or can he let this pass? Hector works for Caesar and is a long time family friend. Hector feels like he should have more standing with Jahaira in her life but Jahaira only looks at him like a brother. Hector wants more and is willing to do whatever he has to do to get that across to Jahaira but will that work to get Lenox out of the picture or will Hector just be out in the cold. 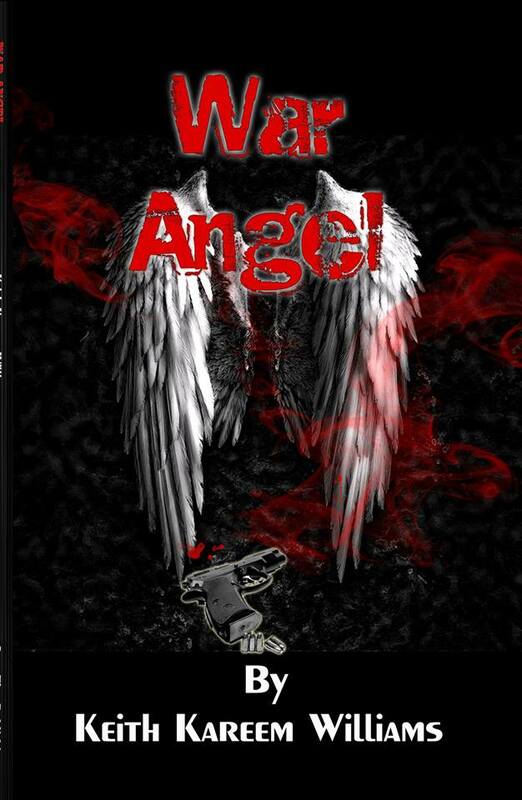 War Angel is an action/thriller by Keith Kareem Williams. This novel has a lot of suspense, action and drama and will keep you guessing until the end of the book. I really didn’t know what was going to happen, sometimes you can predict what is coming but not in this novel. I appreciate the fresh approach and the on the edge of your seat writing that this story has. I have read stories from Williams before and I will be back for more. War Angel is available for purchase through Amazon.com (Kindle and Paperback) and BN.com (paperback only).